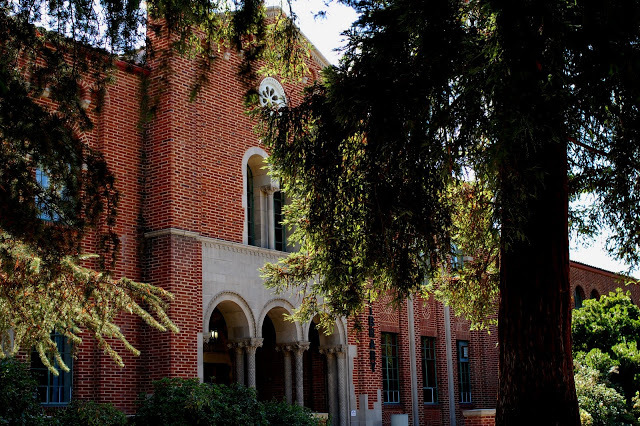 Fresno City College (FCC) is one of the most frequently searched colleges in America, according to a recent internet keyword search of United States colleges. FCC is a public, two year, California community college with an open admissions policy. The school was established in 1910. 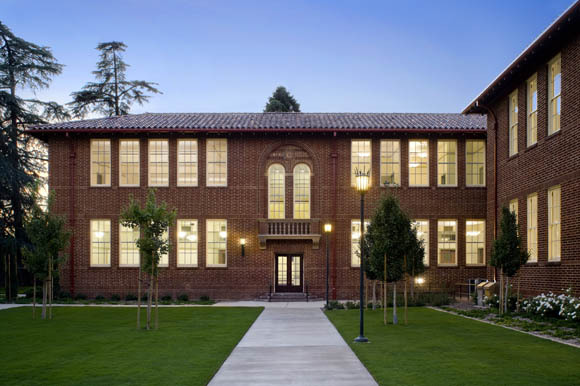 In fact, FCC was the first junior college in the state of California, and is the second oldest community college in America. FCC is accredited by the Accrediting Commission for Community and Junior Colleges of the Western Association of Schools and Colleges. The current enrollment at FCC is well over 20,000 undergraduate students. Roughly 75 percent of these students attend the school part time. 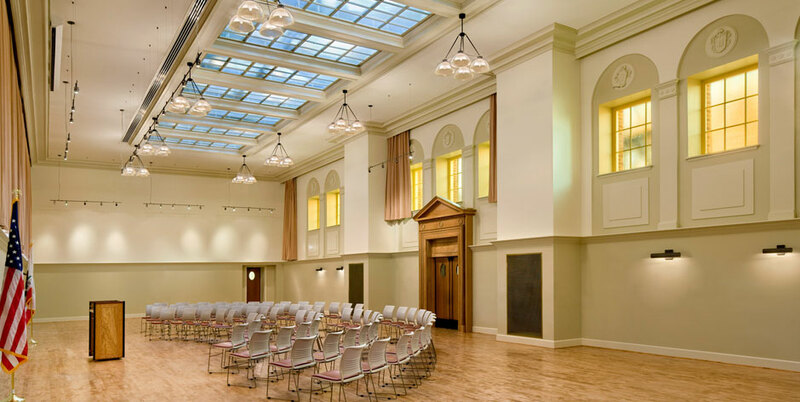 Notable alumni of FCC include many Major League Baseball players, such as Rob Deer, Ted Lilly, and Tom Seaver, as well as many NFL football players, among others. Here are the answers to some of the most frequently asked questions about Fresno City College. 1. Where is Fresno City College? FCC is located at 1101 East University Avenue, in Fresno, California. The zip code is 93741. The city of Fresno is located in California's Central Valley region. The school also has additional campuses in Clovis, Oakhurst, and Madera, as well as a "sister college" in Reedley. 2. What types of degrees are offered at Fresno City College? FCC offers all the basic Associate degrees, which can be used as either certificates of completion, or as transfer credits to four year universities. 3. What courses and programs are offered at Fresno City College? Shown above: The courtyard at FCC. 4. Who should attend Fresno City College? People interested in studying law enforcement will especially appreciate FCC, which features a first rate, fully accredited police training academy. The school also has an excellent emergency preparedness program for students wishing to enter into emergency professions such as EMT or firefighting. 5. 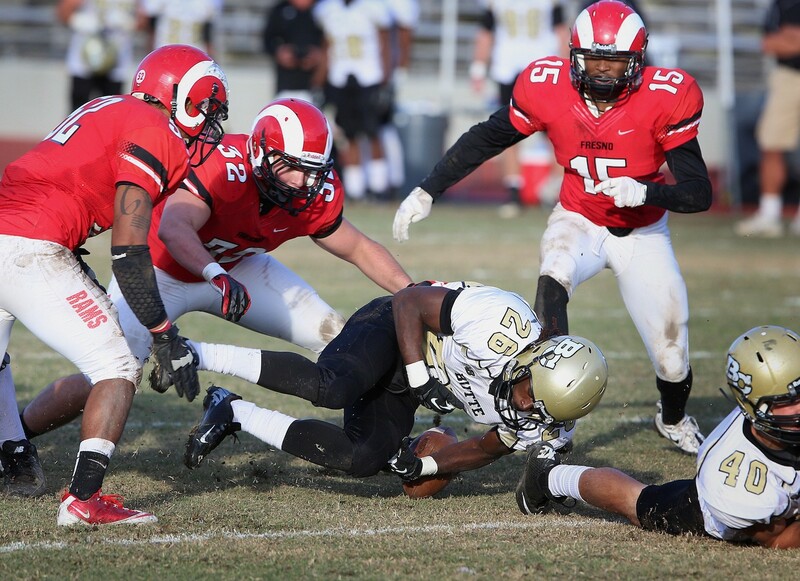 Why attend Fresno City College? FCC is especially known for its ethnic diversity. The student body features a balanced blend of all races and ethnicities. FCC is also extremely convenient for anyone who lives in Fresno. 6. How much does it cost to enroll at Fresno City College? According to the FCC website, the total cost of tuition, fees, books, and supplies comes to roughly $2,725 per school year. However, this cost does not include living arrangements, transportation, or additional fees. Financial aid may be available in the form of scholarships, grants, loans, and work study programs, to help students pay for their educations at this college. Students applying for financial aid must fill out the FAFSA form. 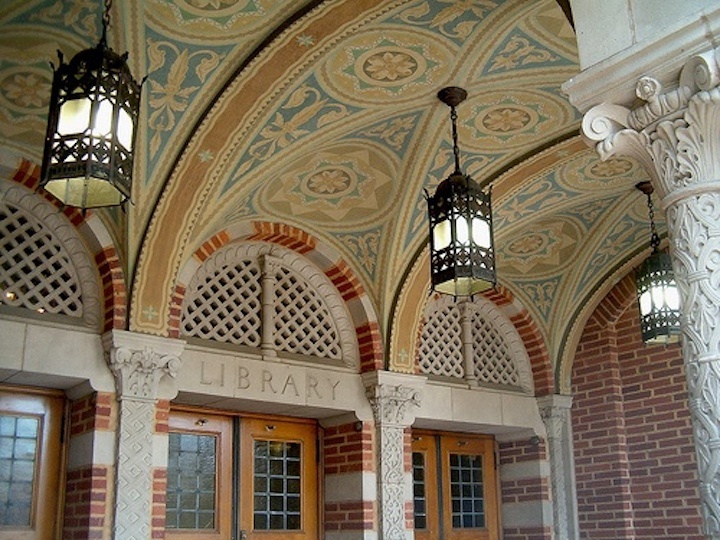 Above: The magnificent architectural details of the FCC library. 7. How long does it take to earn a degree from Fresno City College? For full time students, it should take about two years, on average, to earn an Associate of Arts (AA), an Associate of Science (AS), or an Associate of Applied Science (AAS) degree from FCC. For part time students, the process will naturally take longer to complete. In this case, the time it takes to earn a degree depends on the student's course load. 8. What is the Fresno City College campus like? The main campus of FCC occupies an urban setting. The campus is near Fresno's Tower district. Campus buildings include a Math & Science building, a Health Sciences Building, a practice gym, a library, and various workshops, to name a few. 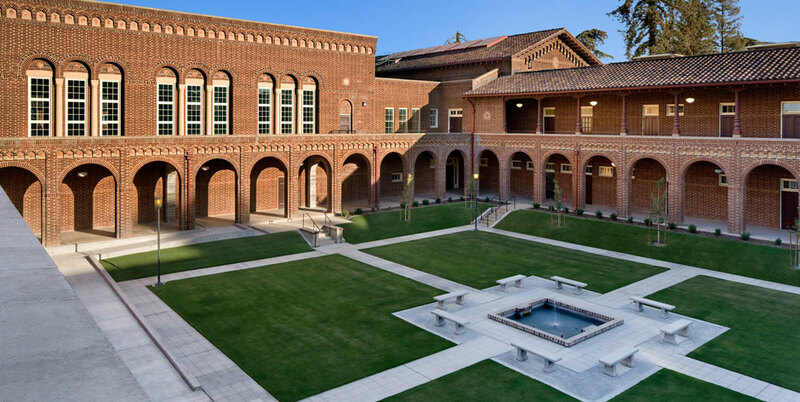 The campus architecture is pleasing, featuring historic, ivy-covered brick buildings with tall archways. FCC does not offer on-campus housing. Other activities at FCC include theater groups, musical groups, and several campus publications, to name a few. 9. What is the Fresno City College neighborhood like? Within a few blocks of the FCC campus are a bank, a movie theater, two pharmacies, a Dollar Tree, a Starbucks coffee shop, and several inexpensive places to eat. Because of the urban setting, the walkability is excellent in this neighborhood, and public transportation is readily available. Chances are you do not need a car. 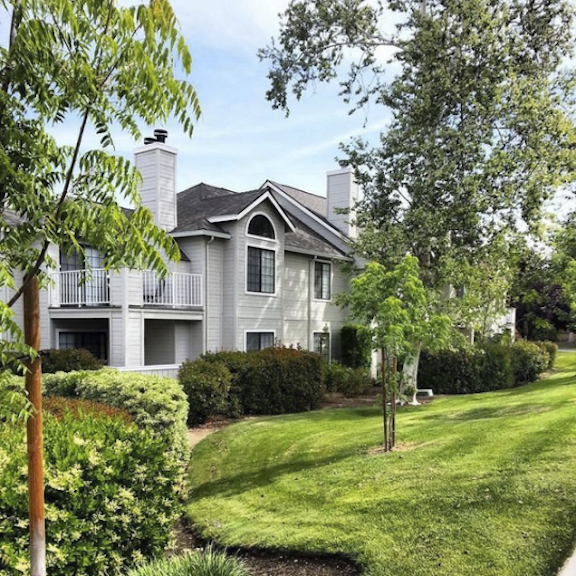 Within 10 miles of the FCC campus you will find the Fresno Chaffee Zoo (roughly 5 miles west of campus), and Cal State Fresno (less than 10 miles northeast of campus). 10. What are the distance learning options at Fresno City College? FCC has a very strong distance learning program, by which students can decide to take courses online. Most courses at FCC feature some online capability. The school even has videoconferencing technology. What's more, if the main campus of FCC doesn't have the online courses you want, other campuses also offer distance learning courses. 11. What is the contact information for Fresno City College? You can reach the main switchboard of FCC by calling 559-442-4600. Or you can send a fax to 559-499-6051. To reach the career and Technology Center, call 559-486-0173. To reach the Madera location, call 559-675-4800. To speak with someone at the Oakhurst center, call 559-683-3940.